Includes 1/8" NPT sending unit and 8' wiring harness. 3563 is rated 4.0 out of 5 by 1. 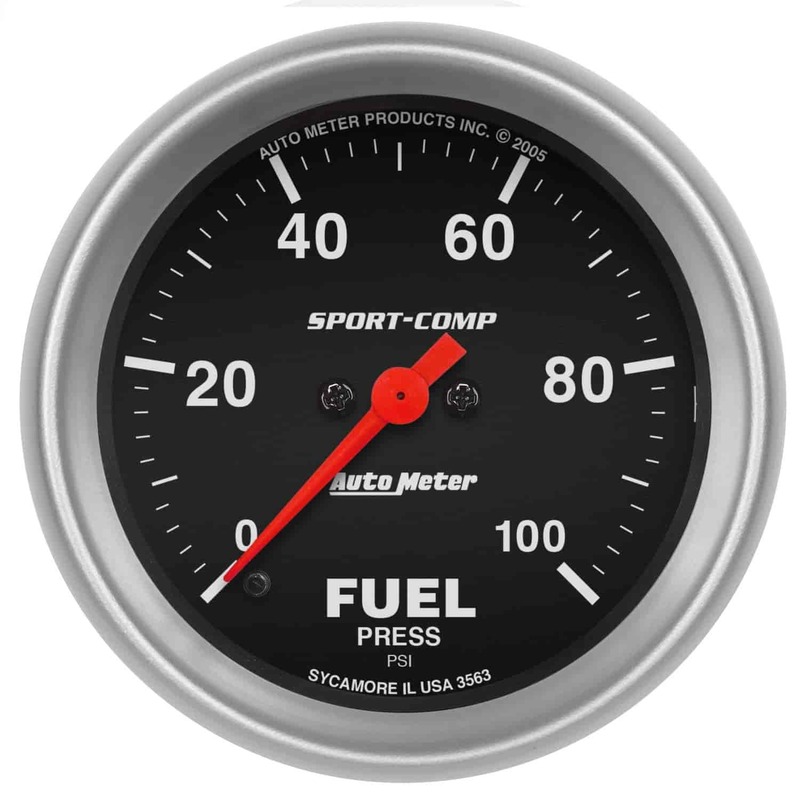 Rated 4 out of 5 by 91coupe from dont forget the adapter fitting If your installing this gauge on a Ford fuel rail, BE SURE to buy the adapter #3280, remove the schrader valve and install this adapter NOT INCLUDED in the kit.